You can find plenty of unique and sometimes offbeat bacon novelties & gifts here at the Bacon Lovers’ Super Store. In this category you will find useful bacon themed items such as coasters and grill presses as well as off-the wall items like bacon toothpaste or body wash, bandages and air fresheners. Rounding out our selection are pig themed magnets, lip balm, playing cards or perhaps a bacon-scented mustache! These are great items to add-on to a gift. 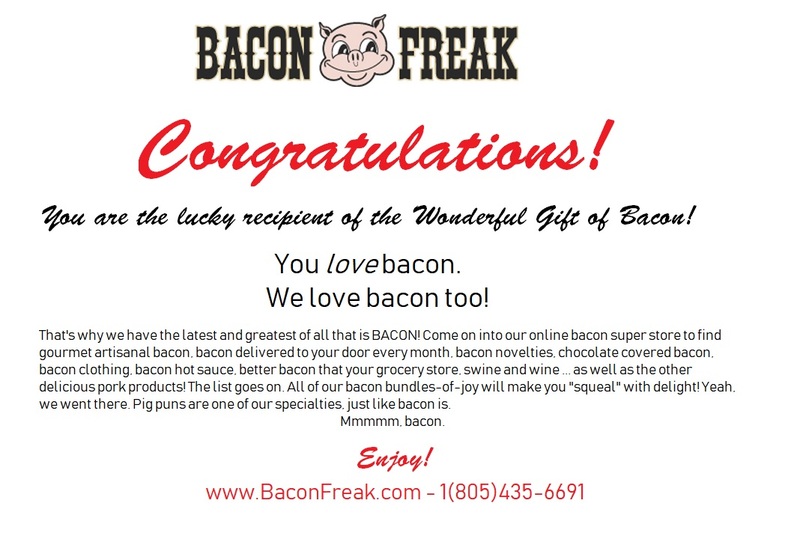 Take a trip down this virtual aisle and find some fun bacon gift ideas.